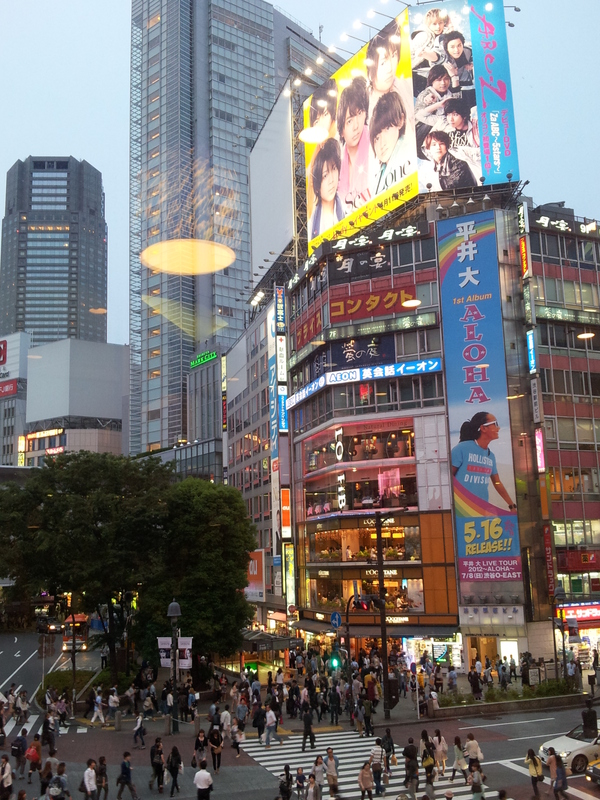 Latimer: Modern Japan is fantastic. Don’t get me wrong, I love it. It’s fun; it looks crazy, but it does leave me thinking, ‘that’s intense… sort of unreal’. 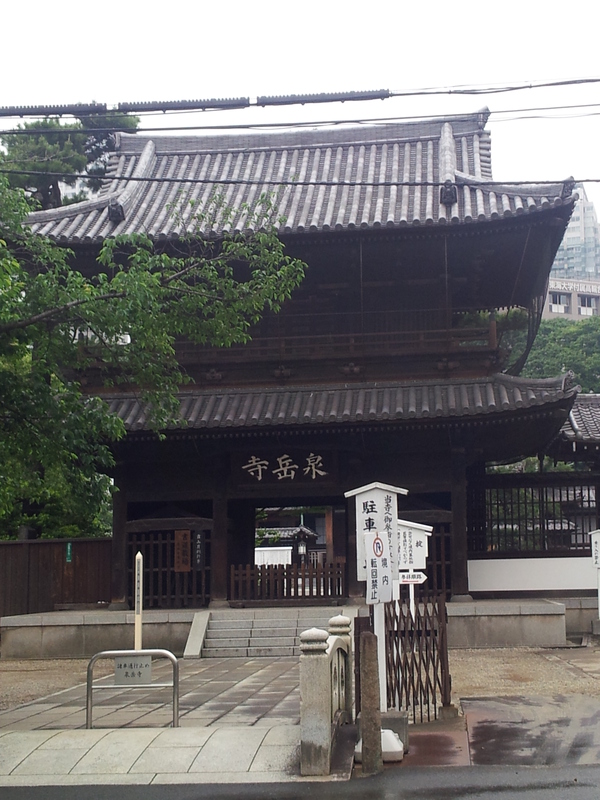 The Japanese past is sometimes hard to find in Tokyo. But find it you must, because it’s full of fantastic stories waiting to be told! We were on a pilgrimage of sorts that day. 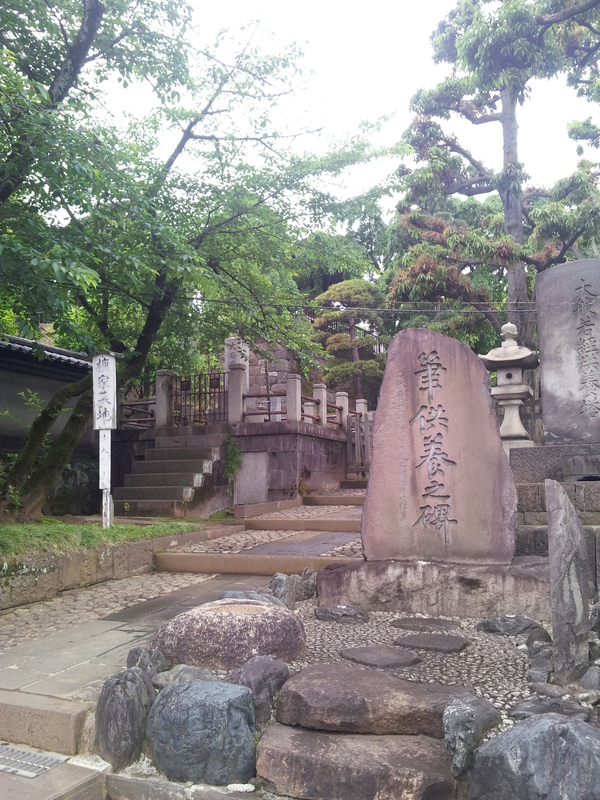 We wanted to find the temple of the 47 ronin- otherwise known as Sengakuji! 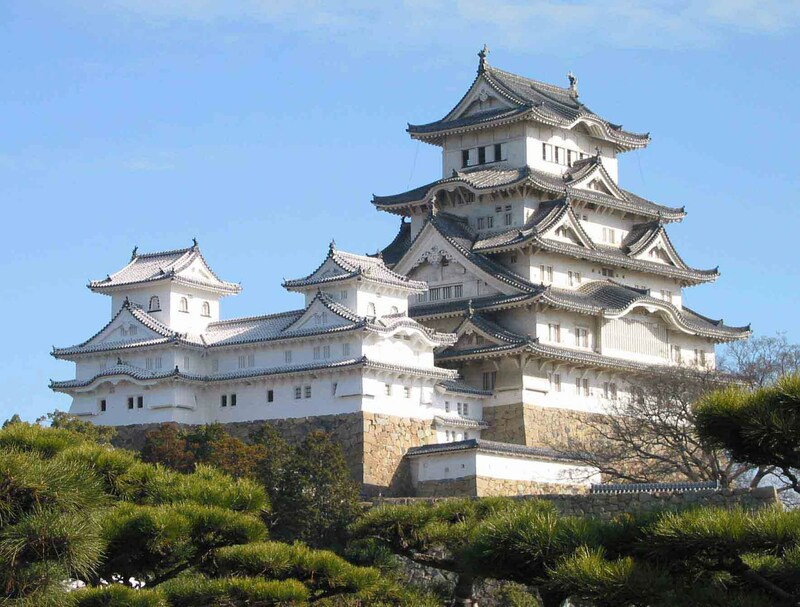 The story begins in the age of the shogunate… I will attempt to set the scene… actually I may have to leave it to your imagination because my historical knowledge is firmly European. I could tell you to imagine a castle, a wild windswept hill; rough spun tunics and broad swords… but I won’t because I’d be wrong, your picture would be wrong and we’d all be looking at Braveheart and that’s not right! We are going to the orient after all…. Asano Takuminokami was the Feudal lord of Ako. 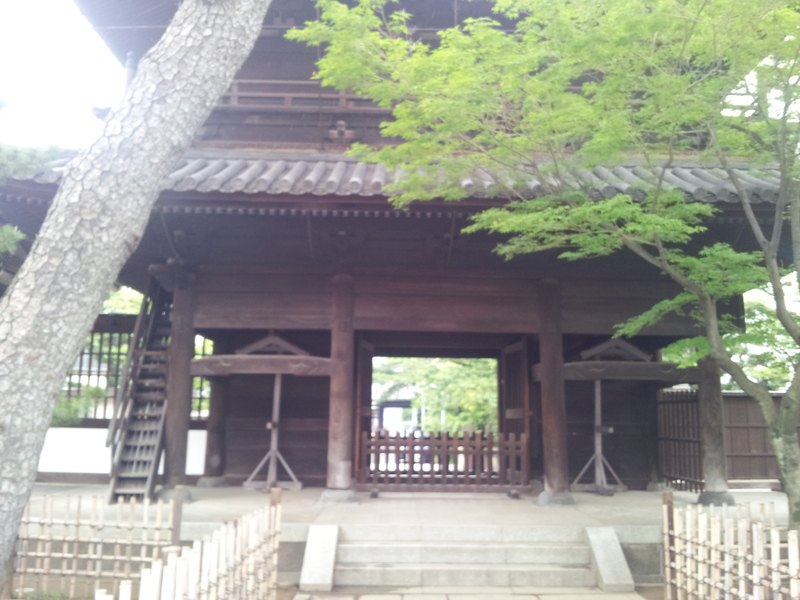 He was asked by the shogunate to entertain vistors to Edo (the old name for Tokyo). Asano asked his loyal advisor Kira Kozukenosuke for directions on how best to do this. Apparently Kira didn’t like Asano and ‘with malice’ disgraced his honour as a samurai (bad mouthed him basically. This was a major no-no in bushido!). Asano decided to put Kira in his place for insulting him. He drew his katana (sword) and managed to cut Kira on the forehead- but not kill him (ah fiddlesticks!). It was strictly forbidden to draw your sword in Edo castle. 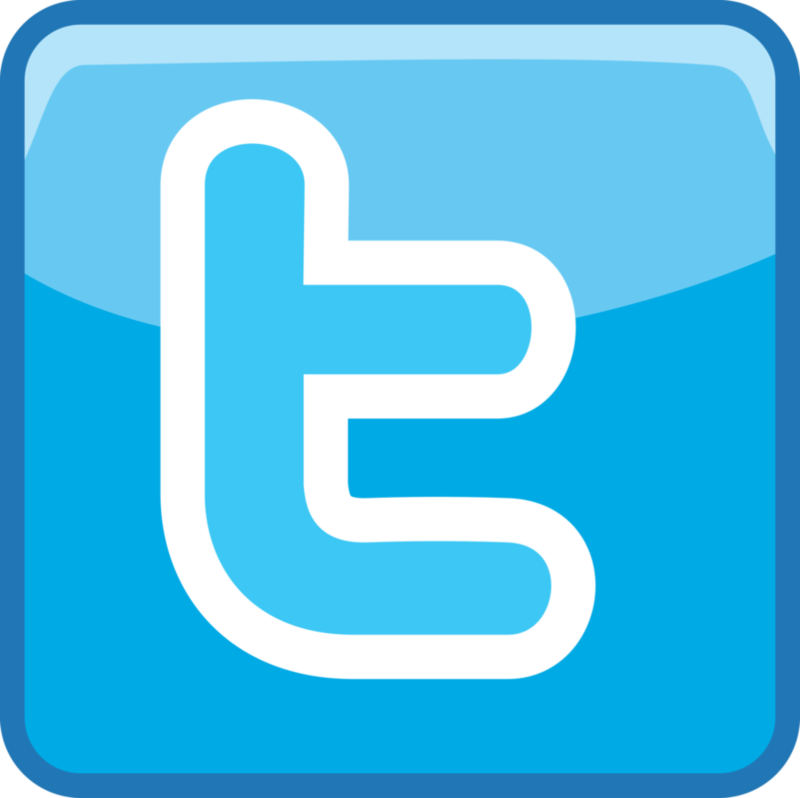 There was also a law that stated ‘equal punishment for quarrels’ so both men were expected to be punished. Now the story gets foggy here, but for some reason Kira got off the hook and only Asano was punished. He was forced to commit seppuku (samurai suicide, not to be too graphic but it involved a knife to the stomach and then your stomach on the floor- grim). Anyway, Asano was forced to commit seppuku in the garden of another lord’s house. This was bad, because seppuku outside was for felons not a lord like Asano. And as if that wasn’t bad enough- his family were stripped of their titles and forced off of their estate! Asano died and Kira got away scot free! Oh… that’s the perfect start to a story of revenge if ever I head one! 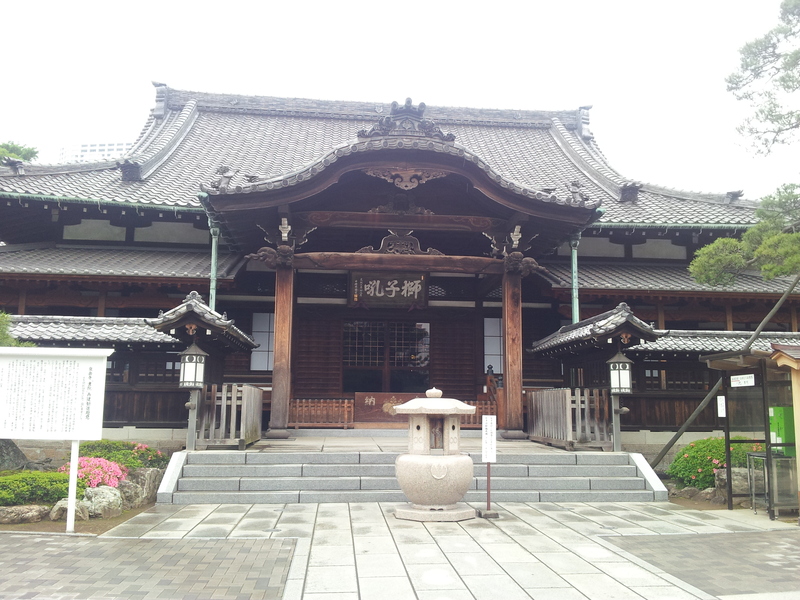 The loyal samurai of Asano, the Ako Gishi (47 of them), pleaded against this indignity and demanded the reinstatement of the Asano house. 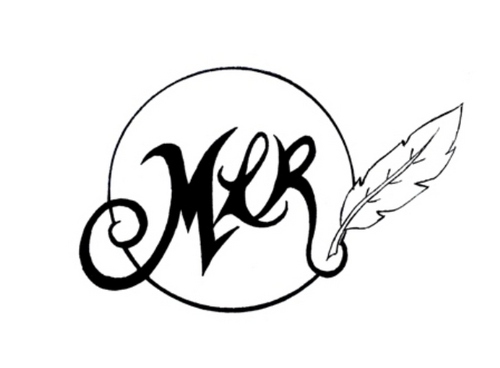 … offered Kira Asano’s dagger (the one he had used to killed himself). Kira trembled before them, but would not kill himself. 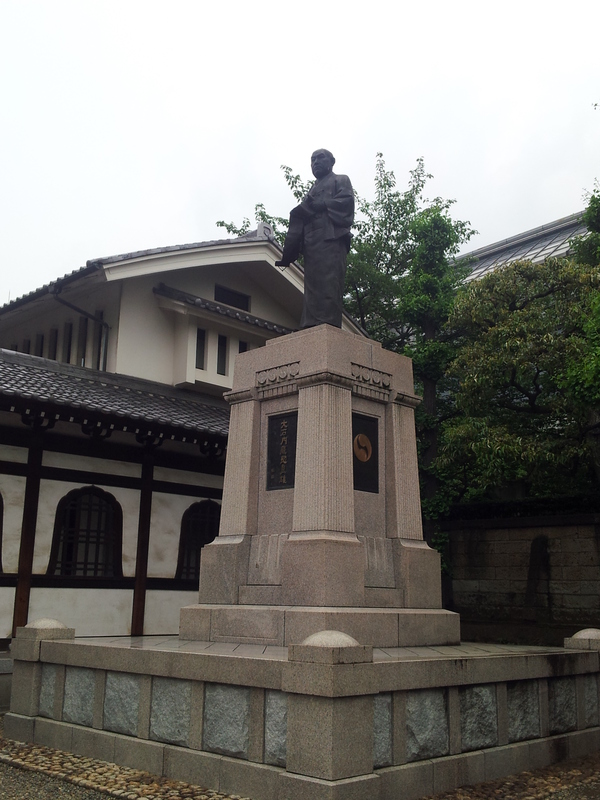 So, they did it for him (dishonourable) then cut off his head, taking it to Asano’s grave in Sengakuji. One of the 47, named Terasaka Kichiemon, was ordered to go to Ako to report that revenge had been taken. Strangely now, the 46 remaining ronin didn’t run. To run would be dishonourable. They turned themselves in to the shogunate straightaway. 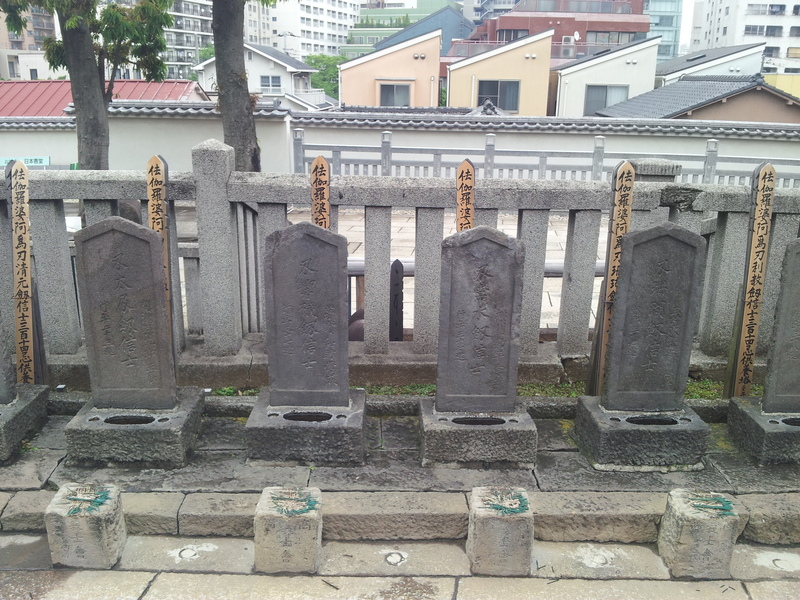 They were sentenced to seppuku the following February 4th and buried in Sengakuji with Asano. In a strange twist, Terasaka Kichiemon was pardoned by the shogunate when he returned from Ako. Some reported it was due to his young age. 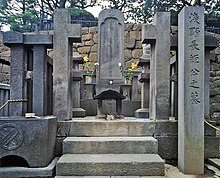 Terasaka Kichiemon lived to be an old man; he died in his 80s and was buried next to his comrades. 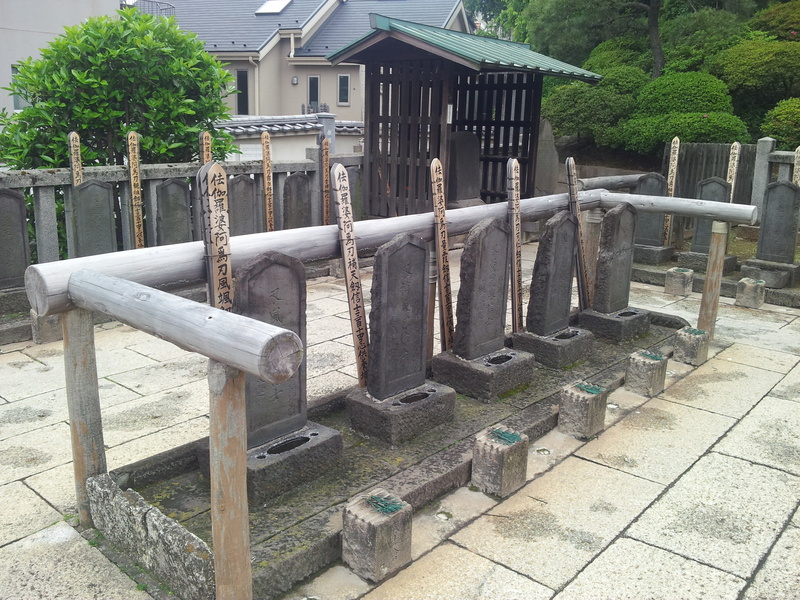 And after hundreds of years, myself and Ridley found ourselves at the 47 ronin’s graves in Sengakuji. 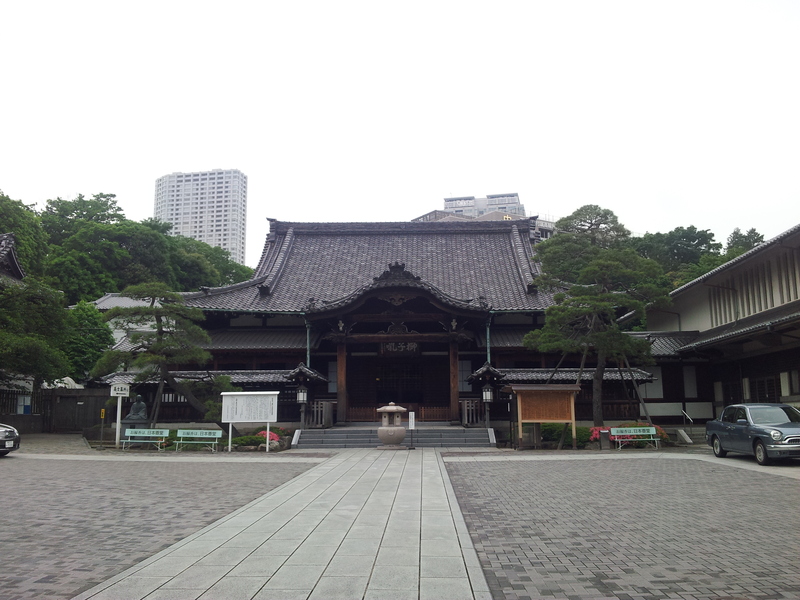 It was one of the quietest places we had been in Tokyo. 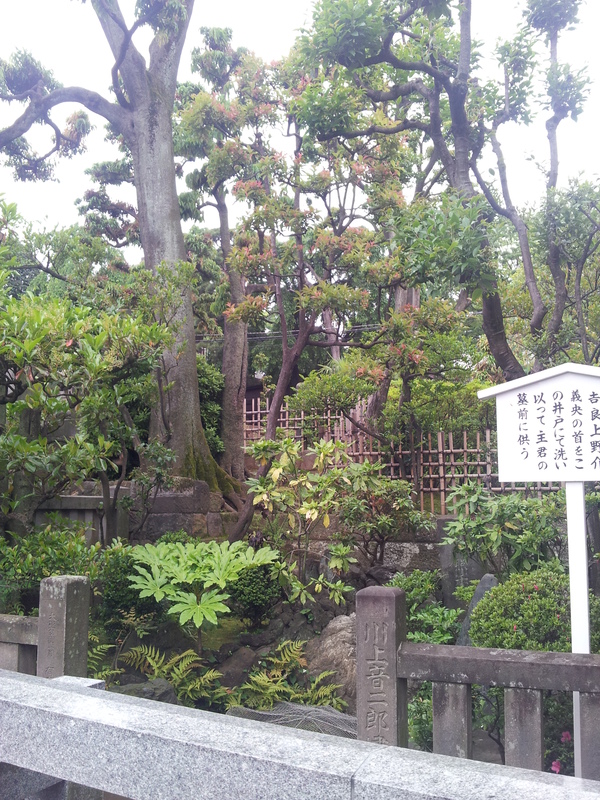 Tucked away from the bustling modern world (though that world did overlook the small temple). 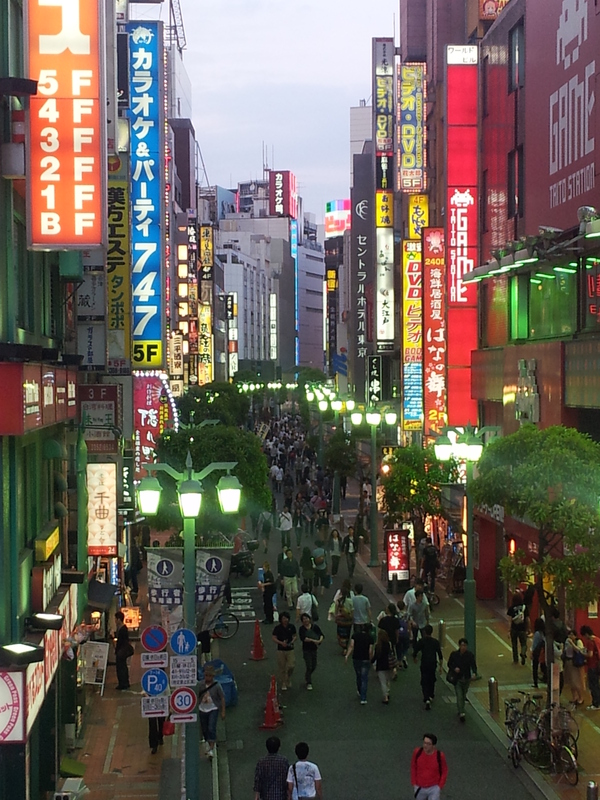 When we got there, it felt like we’d finally found ancient Edo, beyond the lights and noise of Tokyo, behind the modern facade. 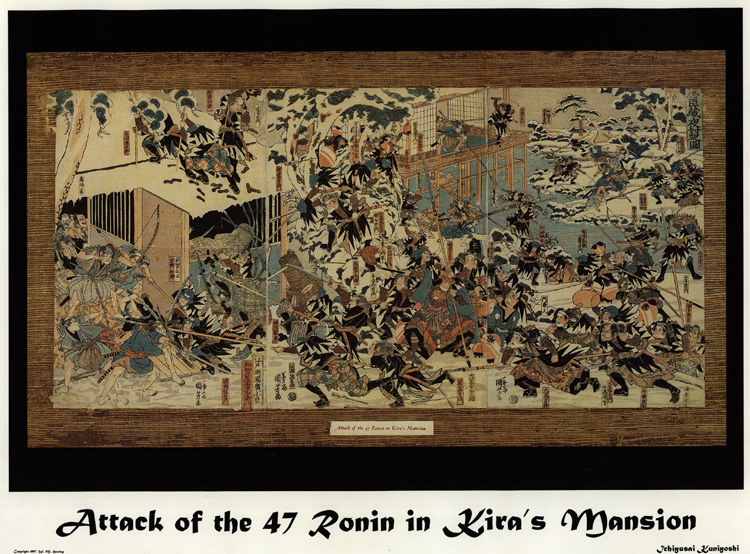 The story of the 47 ronin is one of the most popular stories in Japan, because it reminds them of loyalty (Chu) and justice (Gi). There were no tourists there. The place was serene. It had history. It had a story. I’m in two minds about the samurai notion of honour. It’s an extreme version that I don’t understand to be honest. Then there’s the loyalty part, which is somehow easier to connect with. These men sacrificed their lives to avenge their master. There is something very powerful about that level of conviction. Thanks for the story and the pictures… I enjoyed that! You’re very welcome Maggie, really glad you enjoyed it!! Ridley: Yes, serious thanks. Despite it’s violent past, it was one of the most peaceful places I’ve ever been to, I count myself lucky to have visited it. 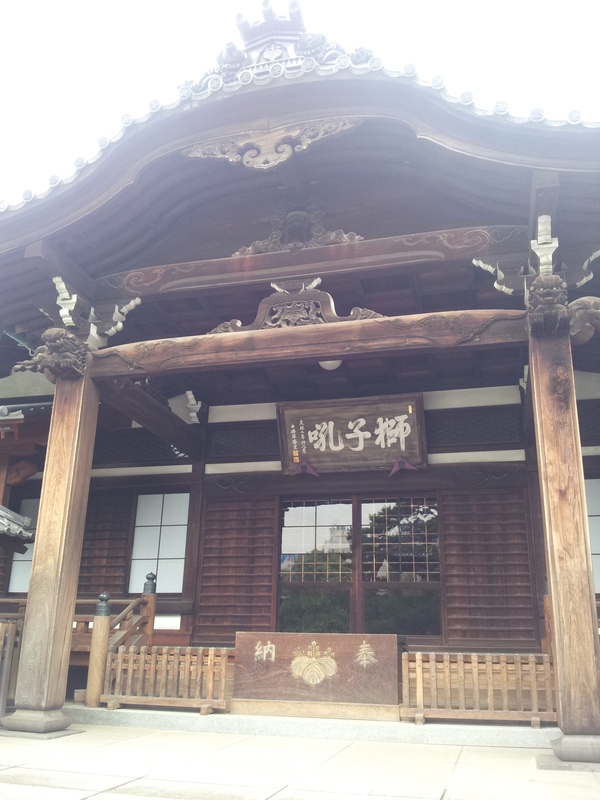 I visited here just because of hearing of the story! Thanks Frances! Always happy to share a good story!